Ben Kelly emailed a reporter with the stunning assertion. 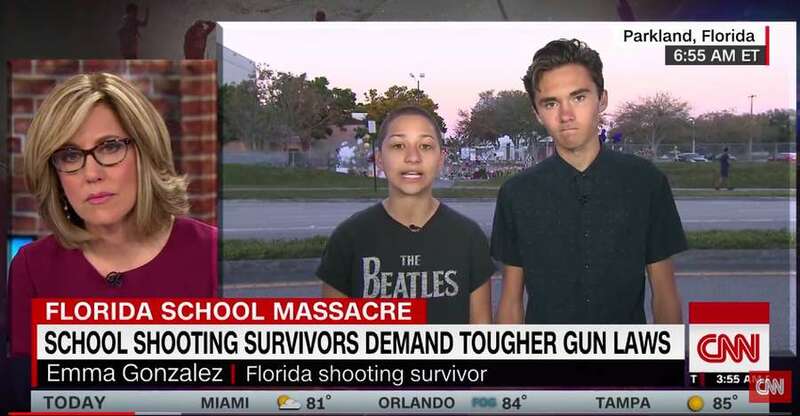 Emma Gonzalez and David Hogg, students at Marjory Stoneman Douglas High School, appear on CNN. Editor's note: This story has been updated to reflect the full version of events that occurred Tuesday since the original post about how Parkland students were coming under attack for their outspokenness. Hours later, an aide to a state representative sent an unsolicited email to a reporter that played on a conspiracy theory. By late Tuesday afternoon, the conspiracy climbed to a new level when an aide to state Rep. Shawn Harrison, R-Tampa, was fired after emailing a Tampa Bay Times reporter with a stunning assertion: "Both kids in the picture are not students here but actors that travel to various crisis when they happen." Asked for backup to his claim, Kelly sent another email — again from his official myfloridahouse.gov account — that included a link to a conspiracy video on YouTube. The video showed Hogg in a news clip from California over a dispute with a lifeguard involving a boogie board. Hogg had posted a video of the confrontation with the lifeguard on YouTube and it "went viral," a news reporter said. Now, conspiracy theorists have questioned what Hogg was doing in another state, some branding him a "crisis actor." Reaction on social media was strident. Jaclyn Corin, the school's 11th-grade class president, wrote: "We are KIDS — not actors. We are KIDS that have grown up in Parkland all of our lives. We are KIDS who feared for our lives while someone shot up our school. We are KIDS working to prevent this from happening again. WE ARE KIDS." Reached by phone in Tallahassee, Rep. Harrison told a reporter he was looking into the matter and that the email should not have been sent. Not long after, he released a statement: "I was just made aware that my aide made an insensitive and inappropriate allegation about Parkland students today. I have spoken to him and placed him on leave until we determine an appropriate course of action. I do not share his opinion and he did so without my knowledge." On Twitter, Kelly said he "made a mistake whereas I tried to inform a reporter of information relating to his story regarding a school shooting. This was not my responsibility. I meant no disrespect to the students or parents of Parkland." But Corcoran, who said Harrison immediately contacted him, deemed Kelly's email appalling: "On behalf of the entire Florida House, I sincerely apologize to the students targeted and again commend them for their courage through this unspeakable tragedy." Previously, Kelly was an aide to former Hillsborough County commissioner and state Sen. Jim Norman. 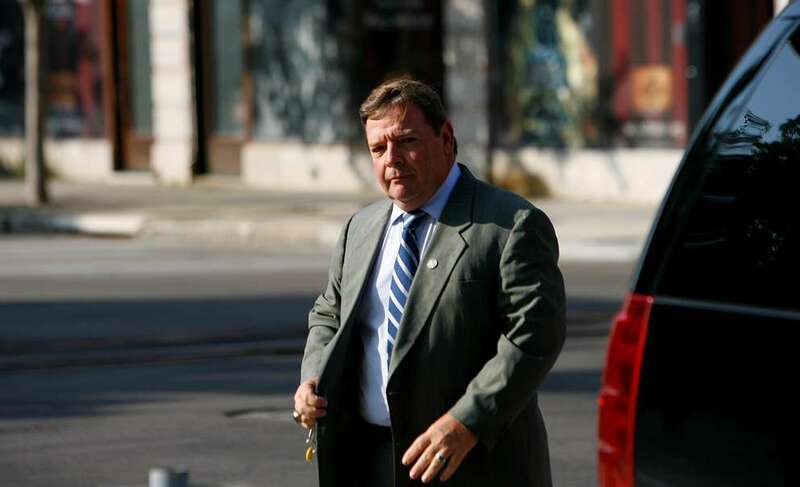 In 2012, he was sentenced to three months of house arrest and four years of probation for failing to file and pay his taxes. On his personal Twitter account Monday, he "liked" someone's tweet disparaging Gonzalez as a "brown bald lesbian girl." Late Tuesday, Kelly changed his Twitter handle and made the account private. The conspiracy theory that the student activists — Hogg in particular — were somehow not who they represented themselves to be has spread across various far-right websites and social media in recent days, conjuring up reaction to other mass shootings. "EXPOSED: School Shooting Survivor Turned Activist David Hogg's Father in FBI, Appears To Have Been Coached On Anti-Trump Lines," read a headline on Gateway Pundit. A link to that post on Twitter was "liked" by Donald J. Trump Jr.
To some, Hogg was deliberately trying to shift attention away from the FBI's failure to respond to warnings about the Parkland attacker, 19-year-old Nikolas Cruz, a former student at the school. Students were also accused of being attention seekers or dupes of a liberal news media. Darker theories, such as the one Kelly promoted, were that the students were "crisis actors." "These are absolutely students at Stoneman Douglas. They've been there. 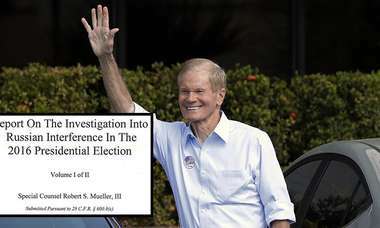 I can verify that," Broward County Schools Superintendent Robert Runcie told the Tampa Bay Times after leaving his fourth funeral of the day. Kelly's comments, Runcie said, were "outrageous and disrespectful" and "part of what's wrong with the narrative in this country. If someone just has a different type of opinion, it seems that we want to somehow demonize them or color them as being somehow illegitimate instead of listening. … We'll never get beyond that if, as soon as you show up, you're demonized." Republican U.S. Sen. Marco Rubio, who has taken criticism for money he's gotten from the NRA, blasted the conspiracy theories. "Claiming some of the students on tv after #Parkland are actors is the work of a disgusting group of idiots with no sense of decency," Rubio wrote on Twitter.